Discussion in 'Navy' started by Bltizo, Jan 27, 2017. 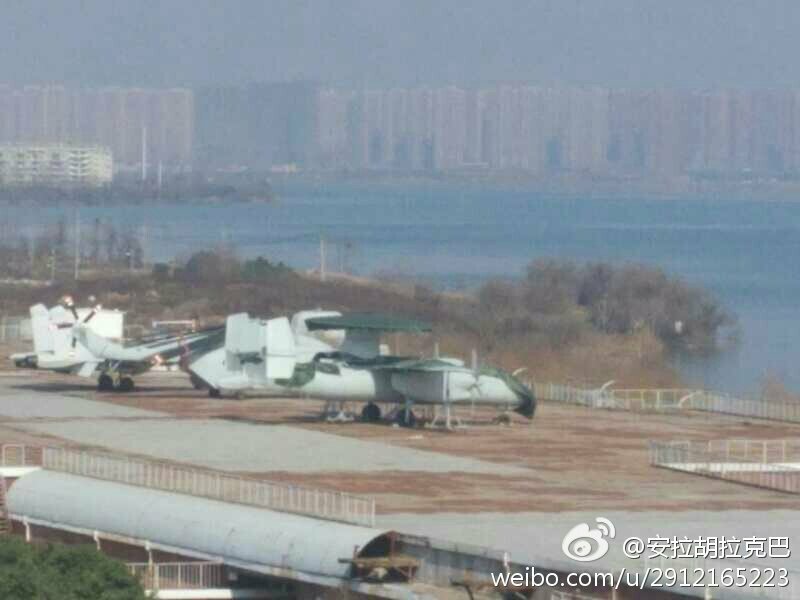 Latest pic of the updated wuhan mock up now shows a fixed wing AEW&C mock up. Equation, bruceb1959, PanAsian and 4 others like this. danielchin and delft like this. So IMO a clear sign that there is something going on behind the scenes and that we can expect to see such a bird "quite soon" in reality ... what however "SOON" means is not clear. Twix101 and Equation like this. I dont know if that mockup i similar to yak-44. Besides, the problem with buying the yak-44 design is that it never left the mockup stage. After all this time, there shouldnt be much left from that program. Also russia wouldnt be too keen in selling it to china. Without a catapult AEW fixed wing planes are never going to be launched from a carrier since they are too darn heavy. TerraN_EmpirE, perfume, taxiya and 1 other person like this. perfume and taxiya like this.